mommy's reviews: Freebies for Veterans! 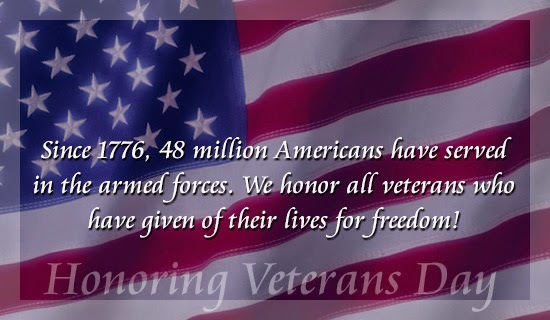 Well, tomorrow is a special day for our country...it's the day that has been set aside to honor our veterans. I have a special place in my heart for vetrans because I have a few in my family and I am grateful for their sacrifice and service. So, in honor of all the veterans, here are some special freebies just for them!